It’s a rough season for Chicago Bulls fans, knowing that their team won’t make the playoffs and look nothing close to competitive on most nights. From time to time, things look better, like in their 105-83 win over the Orlando Magic. 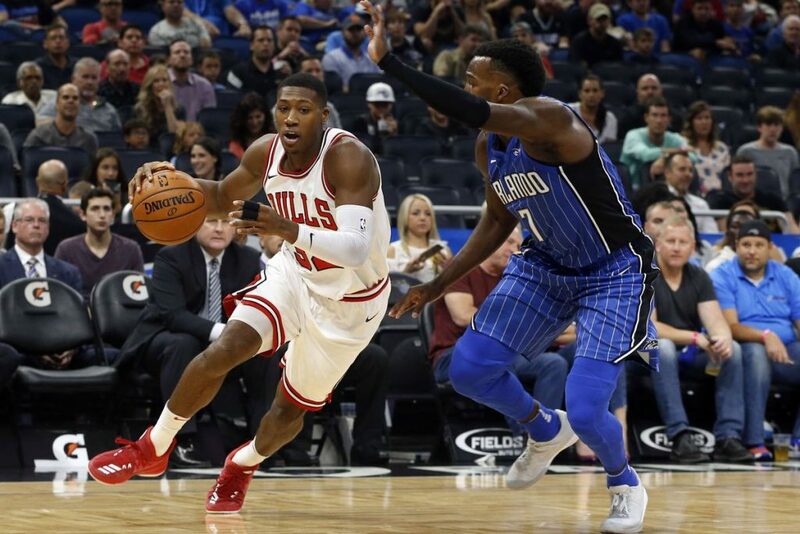 If you haven’t been checking out the Magic and the Bulls this season, it’s a surprise. The Bulls are only 2-5 after this game, ranked last in offensive efficiency with 96.4 points per 100 possessions. Not surprising when their lineup, ever changing, currently includes Jerian Grant and David Nwaba. Not bad players, but not guys who should be starting in the league at this point, even on a semi-tanking team. 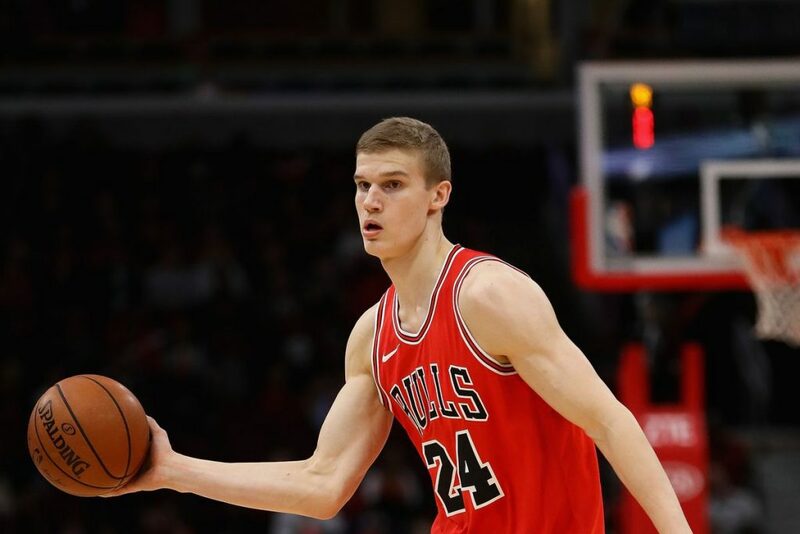 It was the Bulls’ first win on the road this season, and it came despite Lauri Markkanen (the team’s best player this season despite the criticism the Bulls received when drafting him) having an sub-ordinary game, finishing with just 13 points. Holiday finished with 19 points, Nwaba scored 16 and the bench helped out for once, with Kris Dunn, Denzel Valentine and Paul Zipser all scoring in double figures. In truth, the Bulls shouldn’t be as bad as they’ve been by now. Their bench actually has some nice talented players, but none of them look like guys to count on in the starting five. Zach LaVine is still out, while both Nikola Mirotic (who wants out) and Bobby Portis aren’t playing. The Bulls wouldn’t look like a playoff team anyway, but they should be better, or could be. Defense, the bread and butter of this franchise in years past, is looking relatively good this season, although it might have something to do with the caliber of opponents they’ve faced. They held the Magic to 40.7% from the field and 28.6% from beyond the arc, keeping Orlando’s starting backcourt on 7 points only. The Bulls have the 8th best defense in the NBA so far. In a season like this, fans need to focus on the little that’s good: Markkanen’s rookie campaign (16.6 points per game, leading the team); the team’s defense; the expectations to see Valentine and Dunn showing some consistency and making their way to becoming starters, although it might never happen; Zipser, who is always fun to watch, whether he’s in the lineup or coming off the bench, which probably suits him better. The Bulls hit the reset button this season after years of being urged too by fans. The Philadelphia 76ers finally looking like a team worth paying attention too, along with the success of the Chicago Cubs and Houston Astros in Baseball over the last two years, casts a positive spotlight on tanking and gutting your roster for the sake of future success. The Bulls always put short-term and the now as the top priority, but as depressing as it may be for people who believe winning should always comes first, losing now while starting from scratch is gaining more and more supporters, as anti-sport as it may sound.